Oct. 17 - 23 | BOGO For $1 @ Pick Me Up Tea house in Garden Grove! - EAT WITH HOP! Home / BOBA / CA / DEALS / GARDEN GROVE / ORANGE COUNTY / Oct. 17 - 23 | BOGO For $1 @ Pick Me Up Tea house in Garden Grove! 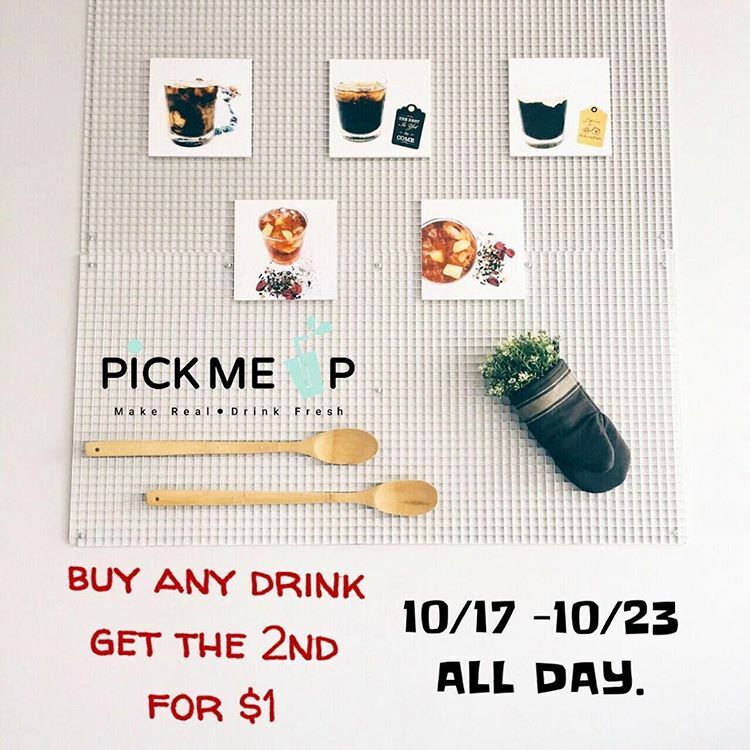 Oct. 17 - 23 | BOGO For $1 @ Pick Me Up Tea house in Garden Grove! Buy any drink and get the 2nd drink for $1! Valid from October 17 to October 23! I recommend the Ginger Peach Tea (my fave). Kevin's favorite is the Mango Lemonade! Heartbroken? Sleepy? In a Hurry? You Could Use A Pick Me Up!